An integral component of every massage session, apart from the relaxing ambiance, is the massage oil. It’s very useful because of its lubricating and healing properties which make the kneading, rubbing, and manipulation of muscles a lot easier. 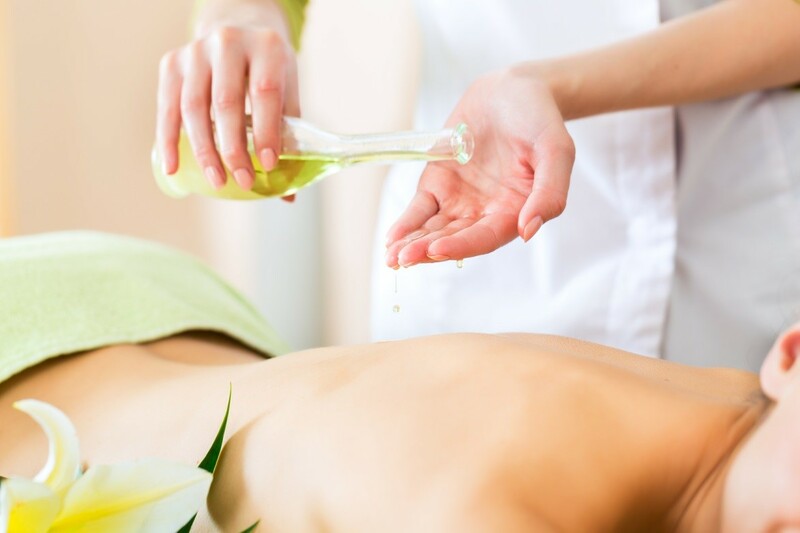 Going to a licensed provider for your massage in Folsom will insure that you are working with someone who knows the importance of using the right kind of oil, as each type has different beneficial properties. Not just any oil will do when getting a massage in Folsom, CA. . Essential oils like lavender, chamomile, and others are most apt for the activity. Choosing the right one is important to gain maximum benefits from the session. Your massage therapist should be able to determine which one is best suited for the kind of massage you’ll have, and the level of stress you are in. Properties to be considered include the density, absorption, and viscosity. It should also be moisturizing, purifying, and not too drying. Most importantly, it should be aromatic. This property of massage oils stimulates more than the sense of smell. In fact, aroma therapeutic oils have the ability to help a person fall into a deep state of relaxation during a massage. Here are some different kinds of oil that would be ideal for various types of massage. Lavender Oil – This is great for acupressure sessions. It’s effective in stimulating pressure points, and its stress-relieving scent helps in improving emotional health. Lavender essential oils are also great for reflexology. Jasmine Oil – If you want to go for a more Asian type of massage like Balinese, jasmine oils would be perfect. It’s great not only for muscle relaxation, but also mental relaxation. Jojoba Oil – This, along with sweet almond and apricot kernel oil, is perfect for Swedish massage. With five different stroke types, proper traction is going to be very important. Olive Oil – This is more popularly used for food, sure, but it can also be used for massage, specifically for infants. Its properties have been found to be helpful in stimulating development for babies’ muscles and connective tissues. These are just a few helpful tips in helping you choose the right massage oil for your sessions. Consult with your massage therapist today to make the most out of every relaxing treatment you get. To schedule a massage call us today at 916-294-9980 or use the convenient “Schedule Online” link at the top of our site at www.TheHealingStation.net. What are the Benefits of Full Body Massage? Livestrong.